Stargirl has some new company. 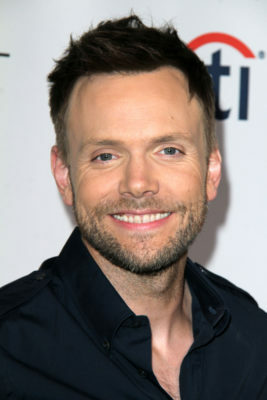 TVLine and TVInsider report Joel McHale (pictured), Brian Stapf, and Lou Ferrigno Jr. have joined the upcoming DC Universe TV show. On Stargirl, McHale will be playing Sylvester Pemberton (aka Starman), Stapf has been cast as Ted Grant (aka Wildcat), and Ferrigno Jr. will portray Rex Tyler (aka Golden Age Hourman). DC Universe has not yet announced a premiere date for Stargirl. What do you think? Are you familiar with Stargirl? Will you watch the DC Universe series? More about: DC Universe TV shows: canceled or renewed?, Stargirl, Stargirl: canceled or renewed? Titans: Is the DC Universe TV Series Cancelled or Renewed for Season Two?